Were up and running on Day 1. 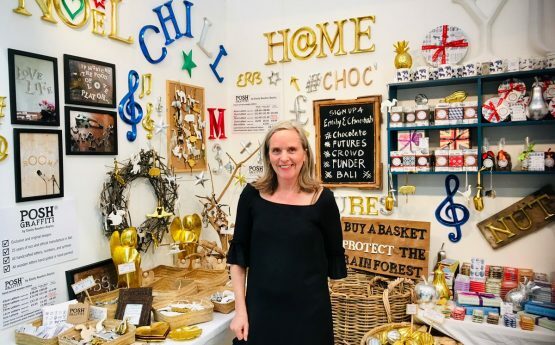 Come and taste some very fine chocolate and pick up some ethical Christmas Decorations and POSH Graffiti on Emily Readett Bayley’s stand at the Spirit of Christmas Fair. Chantal Coady OBE will be joining Emily there with her delicious Rococo Chocolates and supporting Emily’s new Crowdfunder #Chocolate Futures.